Q: Some of the timbers on my new pavilion kit are beginning to crack. Is this normal? A: Yes, it is referred to as “checking”. The reason there is an actual technical term for it is because it is a completely normal and naturally occurring process. The term “cracking” would imply that there is a defect in the wood itself. Wood will always expand and contact when outdoors. 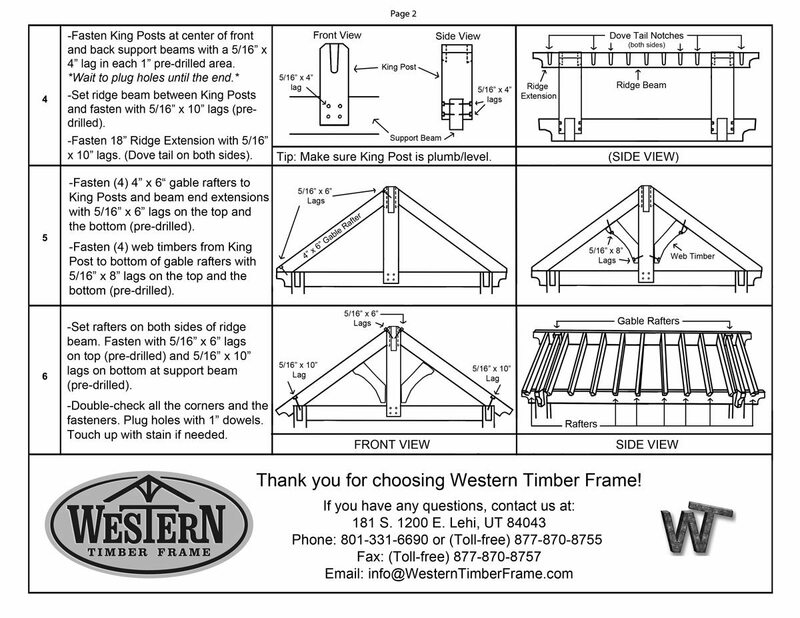 However, our timber pavilion kits will not loose their structural integrity once checking occurs. The checking is often more obvious when you have a darker stain but once you apply the next coat of stain or use some of the touch up stain provided you will not notice it near as much or at all. 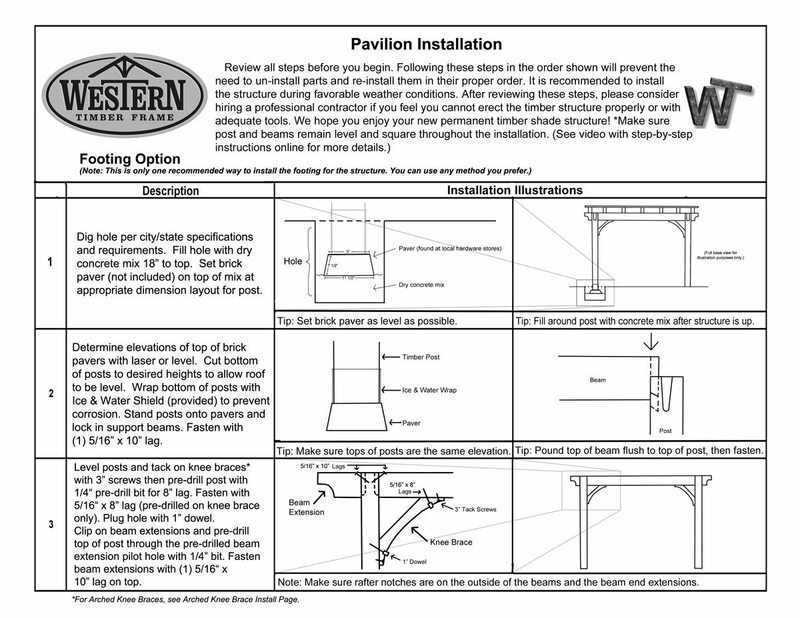 Q: How long does it typically take to do the touch up stain after my pavilion kit is installed? A: It can take up to 1-2 hours to do the touch up staining. 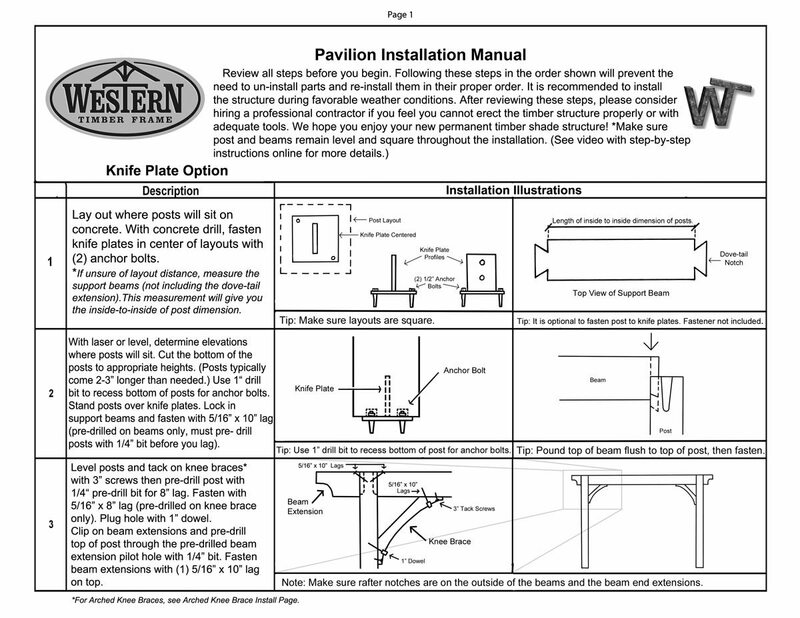 To minimize the touch up we suggest to lay out all your timber pavilion kit pieces on grass or propped up off the ground on 2×4’s or saw horses so that they do not get scuffed up by the rocks and dirt. Q: How often do I need to stain my timber pavilion? A: Some like to leave their pavilion for many years giving it an aged faded look. Others like it to look pristine and new. We recommend, that if you want your pavilion to look new longer, to re-stain it once within the first 9-12 months after installation then every 3-5 years after that as needed. (Keep in mind that this will depend how much sun your pavilion is exposed to on a daily basis.) Our timber kits are not like decks which need to be re-stained every year. Q: Sap is dripping from the timbers on my pavilion. Is this normal? A: Yes, once your pavilion is installed it may drop some sap for the first few weeks. Sometimes the timbers are just adjusting to the climate and altitude of your backyard.